Our reputation has been built on many years experience in test and measurement equipment, whether it be a new instrument, calibration, repair or service. On-site calibrations carried out by our service engineers while your production continues. We supply a vast array of instrumentations from the industries major manufacturers. Bridge and engine room automation equipment serviced and supplied. From its formation 50 years ago in 1968, Instruments & Controls (Hull) has established itself as one of the leading suppliers to industry. Our reputation has been built on many years’ experience in test and measurement equipment, whether it be a new instrument, calibration, repair or service. Together with the company’s ability to design, manufacture and commission solutions for a wide range of industries, both locally and nationally, we are able to offer a complete package “in house”. Instco provide experienced engineers on-site to service, repair or calibrate your instruments without causing prolonged down time. 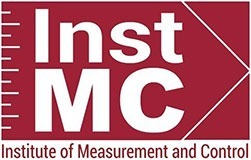 Instco are able to supply a vast range of test and measurement equipment from industry leading manufacturers. Our experienced engineers deliver an efficient diagnosis, enabling a quick repair and turnaround service. Prompt turn around, professional calibration by experienced trained engineers. From our shop in Hull we supply test and measurement equipment for industry available to buy now. Our expertise and experience that our engineers have gained over the years ensures a wealth of knowledge gained within a wide array of disciplines. Our engineers have the capability to assist you in a number of situations, from calibration, service or breakdown. Aided by our continual calibration equipment upgrades we can assist in most situations. Show that you can buy locally, the exact item, cheaper, elsewhere, then we will match or better that price. Our workshops have the capability to calibrate and certify a vast number of instruments covering a large number of disciplines using some of the latest equipment available. Our customer portal enables clients to access instrument details specific to them whenever they want and wherever they are. We are able to procure your instrument requirements to save you time and stress. 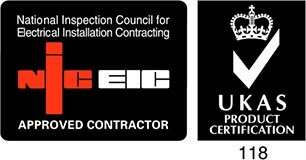 For further information about any of our services or to discuss your requirement please get in touch.